Middlesbrough Football Club in the Community’s Enterprise Academy has been working in partnership with Working Links to deliver a 6 week course to 14, unemployed adults from through out the Tees Valley. On Thursday 10th March, Working Links Staff and the 14 clients will be taking part in a Celebration Event where the clients will hold a training session with the staff and then take part in a game of 7-a-side football against the MFC in the Community coaches! In the afternoon, the Working Links clients and staff will attend an event at The Riverside Stadium where a Boro first team player will award the participants with their FA level one certificates. The adults attended for 30 hours a week and spent mornings at The Riverside Stadium taking part in an Employability Skills qualification and afternoons at MFCiC’s Eston Academy, Southbank preparing for their FA level one course, which they completed and all passed, at the end of December 2010. The Enterprise Academy is an educational organisation which delivers level one and two qualifications and enterprise days to 11 – 25 year olds. In partnership with Working Links, it has increased its target audience to work with adults. The participants have all signed up to become volunteers for Middlesbrough Football Club in the Community where they will assist FA qualified coaches in delivery of multi-sport provision to primary school children. For further information on the work The Enterprise Academy carried out, please contact Helena Pinder on 01642 282128. 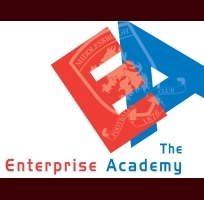 The Enterprise Academy is a groundbreaking community project from Middlesbrough Football Club . 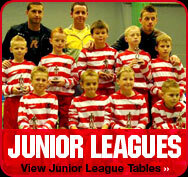 The scheme was Established in 2002 with funding from One North East, the Premier League, and in partnership with local councils. 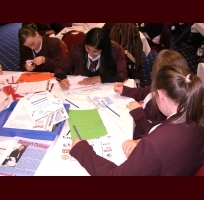 Its aim is to introduce students from across the Tees Valley to the subjects of Business and Enterprise. Using Middlesbrough Football Club as the business model, students learn about the world of business and self-employment by using real examples drawn from this multi million pound organisation. Whether it’s sales, marketing, media or accounts, the fundamentals of all business operations can be found when studying a modern day, leading football club. By offering an alternative teaching environment, the EA team are able to educate and inspire students from a range of skill levels, from those who have perhaps been struggling in mainstream education, to the most gifted and talented students.